Ousted Prime Minister Nawaz Sharif hopes to keep Pakistan’s premiership in the family. The ruling Pakistan Muslim League-Nawaz (PML-N) has nominated Shahid Khaqan Abbasi as the interim prime minister to replace Nawaz Sharif, who was disqualified by the Supreme Court on Friday, after investigations into the Panama Papers scandal revealed that he had withheld employment in Dubai in his nomination papers for the 2013 elections. Following a vote in the Parliament, Abbasi would be the leader of the house and the head of government, till Nawaz’s brother Shahbaz Sharif becomes eligible to become the prime minister. 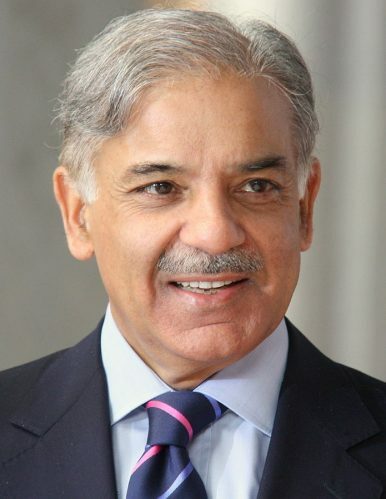 Shahbaz, currently the chief minister of Punjab, would have to contest the by-election for the National Assembly seat vacated by Nawaz, after which he could be elected as the prime minister. With Maryam Nawaz Sharif, the heir apparent of the ruling party’s reins engulfed, along with her brothers, in the same corruption scandal that eventually led to her father’s disqualification, it is Shahbaz who was the next in line for the Sharif dynasty’s throne. But in nominating Shahbaz Sharif, who has done admirable work as the chief minister of Pakistan’s most populous province for the past decade, the PML-N is trying to blur its fault lines. At a time when a revamp of Pakistan’s dynastic politics is being touted as a lesson from the episode that led to Nawaz’s ousting, the PML-N not only wants to blatantly reinforce its own undemocratic credentials, but is acting in desperation to salvage its unitary model amid internal centrifugal forces. Federal Interior Minister and PML-N veteran Chaudhry Nisar Ali Khan announced his resignation from the ministry on the eve of the Panama Papers verdict in a press conference that underscored the threats of defections facing the ruling party. Not only did he say that the party was currently infested by unworthy members that were acting against Nawaz Sharif’s interests, without naming names – or indeed saying as much – he went public with his displeasure over others being preferred over him as Nawaz’s replacement. While the presser was lauded for its honest self-reflection toward the party, Nisar had issued a clear warning to Nawaz that overlooking him as the successor could mean the party exploding into factions. With none of the PML-N leaders, past or present, ever expressing dissent over the Sharif family’s hegemony over a party named after them, Shahbaz Sharif’s nomination as the prime minister could keep the party together, despite undoing the sub-family plan the Sharifs had envisioned for both federal and Punjab rule. Not only is Nisar close to Shahbaz Sharif, he has often brokered peace between the PML-N and the military leadership through his family ties in the Army. While nominating Nisar as Nawaz’s successor would’ve helped bridge differences with the military leadership, it would’ve alienated many other factions within the PML-N. Opting for Shahbaz could do the reverse. It was Shahbaz Sharif who directly confronted the director general of Pakistan’s Inter-Services Intelligence (ISI) in a high-profile defense meeting in October last year, where the PML-N leaders attempted to wrest control over security matters from the military. The controversy, since named the Dawn leaks after the English daily that broke the news, brought the Army and civilian leaderships to the brink of a full-blown tussle. The Dawn leaks are now being cited as the driving force behind the touted “judicial coup” that eventually overthrew Nawaz Sharif. Therefore, by nominating Shahbaz, the PML-N has maintained the Sharif tag for the party loyalists and vied to prevent party disintegration, while at the same trying to send a message across to the military establishment. But having already ceded most of the critical policymaking space, the message – if such indeed is the intention – only smacks of a desperate attempt to keep the party grip on the victim card ahead of next year’s election, by exaggerating its alignment vis-à-vis the military. Not long ago the PML-N was predicted to sweep through the 2018 elections. Now it’s clutching at straws trying to keep the party together, and put the burden of its own failures on “external forces.” Prime Minister Shahbaz Sharif, if he does assume office, has his work cut out ahead of next year’s polls. So, What Happens to Former Pakistani Prime Minister Nawaz Sharif Now? What Nawaz Sharif's Return to Pakistan Means for the Country's PoliticsA Win for All: Pakistan's NA-120 By-ElectionSharif's Ouster Won't Impact CPECNawaz Sharif's Newfound PowerShould Pakistan PM Imran Khan Expect a Major Opposition Party Challenge Soon?